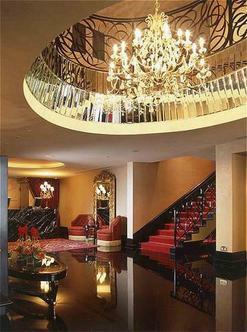 ---HOTEL OVERVIEW---Singapore's latest boutique hotel - The Scarlet debuts on November 15, 2004. Vivacious and unhibited, The Scarlet's interiors pulsate with drama, style and sensuality. The Scarlet makes a bold statement, by carefully preserving and combining the architectural styles of Singapore's heritage buildings with an audacious concept to provoke the senses and the imagination. Its 84 rooms, including 5 custom-designed suites bear individual personalities - from design and color palette through to luxurious furnishings and fittings. In-room amenities include complimentary broadband, cable tv, a Personal Bar, daily cocktails and nibbles and a wonderful range of toiletries, among many other welcoming extras.The main restaurant, Desire, featuring modern cuisine with a creative edge, is a luscious enclave infused with sensual glamour that morphs, from day to night. Breeze, a quaint, Mediterranean-style bar and restaurant on the roof terrace boasts lush tropical landscaping and offers fresh shellfish platters for casual dining. BOLD - the bar with attitude for trendsetters and fashionistas, more than lives up to its nameOther features at The Scarlet include SODA, an outdoor jacuzzi, FLAUNT, a private gym and The Sanctum, a boardroom with state-of-the-art meeting facilities.